Faith & family blog aimed to help you manage your home, lessen the chaos of everyday life, and find joy in it all. Inspired by one of my favorite blogs I thought it would be a great idea to look back each week at those things that brought me the most joy. This is far too fitting for my blog to ignore the idea so I look forward to posting these each week! Do you want to know my favorite part about starting this blog and making a point of choosing to see joy in my normal, everyday life? I'm seeing it everywhere now and it's so hard to not want to share CONSTANTLY about the joy around me. I love to color! The big kids really enjoy coloring as well and I'm working on teaching the little guys that coloring is way better than eating crayons... it's a work in progress. But I've started sticking them in their chairs while I'm doing dishes or cooking so they get to be with me but they aren't right underfoot. We've had this climber in our living room since the little guys' first birthdays and I kept saying it would move outside once it got warmer but I kept dragging my feet. If it's outside then they have nothing but furniture to climb on inside. And if it's outside then I need to go outside so they can climb on it. And if it's on the deck then they could push it to the edge and topple over! But I moved it. And the little ones LOVE having something to play on outside. And we tied it down to the deck so they CAN'T move it! And it's on the deck which keeps them contained so there is no running different directions for me. Such a win! I don't have a picture of this because pushing a large stroller plus keeping track of three other kids means my phone stays in my pocket where it can track my steps. I made one of my goals for June to go somewhere with the kids once per week. This week I decided just a simple walk around the neighborhood, exploring streets we hadn't walked down before, would be a fun adventure. The kids had fun guessing which way we would turn at each corner and I got in some simple exercise. Win for all! After some cooler and rainy weather the past couple weeks we were blessed with some BEAUTIFUL days that were actually perfect for sitting on the deck after the kids were in bed. It's too warm in the afternoon for me to be out here writing (I'm pale and blonde, give me a break) but starting around 6pm it's gorgeous! I got the kids all in bed, grabbed my computer and a water and spent lots of time hammering out posts so I can enjoy the weekend. I'm actually writing this post outside! My parents had given the kids these little mini kites quite some time ago but we never took them out for whatever reason. It was fairly windy over the weekend so I thought we could give them a chance. The kids had a bit of trouble getting them to stay up but when those kites flew up and soared overhead? They were overjoyed! They made laps around the house (which doesn't really work since the wind goes away between the houses) and stood on the deck to really get the kites high into the air. Seeing them try something new was a great way to fill us with joy. Where did you find joy this week? Any new adventures? Did you hear about the new weekly devotional I'm hosting? It takes place every Thursday right here on the blog! Click here to find out what you need to know to join in. I've got a passion for encouraging women to really love the life they have - crazy schedules, messy floors, toddler tantrums, and sloppy kisses. I want to inspire you to choose joy during the highs and during the lows. I want you to love the chaos but also find a way to manage it so you don't lose your beautiful mind in the process. Faith & family blog aimed at offering help with managing your home, lessening the chaos of everyday life, and finding joy in it all. 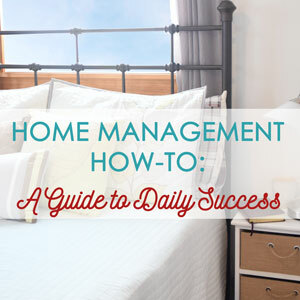 I’m Katie and I’m here to offer practical and realistic homemaking tips that you can start using today to help manage the chaos in your home. In between, I’m here for encouragement so you can learn to embrace and love your real life. Join the mailing list and access to the private subscriber library with all my free printables! Follow along on Instagram to see more of the joy in our chaos!